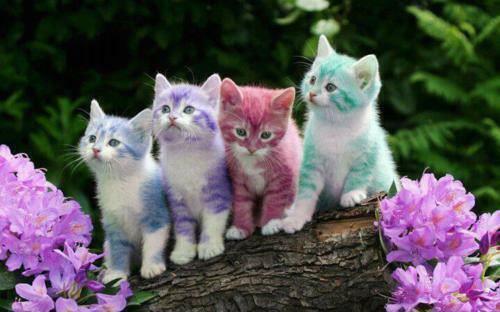 colorful kittens. . Wallpaper and background images in the Animals club tagged: animals cat cats kittens kitty kitties cute colorful adorable. This Animals photo contains kitten, kitty, tom, and tomcat. There might also be cat, true cat, bouquet, corsage, posy, nosegay, opium poppy, and papaver somniferum.